Beefing up for GP Vegas, looking deep into the strategy and theory of Standard and EDH, and Dack Fayden goes to Theros!!!! All this and more in Gathering This Week’s Magic! This has been a strange week for content. Most people are super amped about GP Vegas, which starts today, but if you aren’t doing any more Modern Masters drafts as of right now, all that content is just theoretically cool, nothing more. Standard keeps heaving stones at Unburial Rites, but nothing seems to really do the job, and Modern Season is still several months away. In Houston, Shahar Shenhar capped off another successful weekend, taking the finals of this Block Limited Grand Prix in just ten minutes over two games. His deck was built around quick damage by eliminating, invalidating, and stealing blockers. John Wallace won the Standard Open on Saturday at SCG Columbus, piloting a planeswalker-heavy Jund deck with a singleton Sire of Insanity. Todd Anderson won his second Legacy Open in as many weeks, again on the back of Deathblade. The Standard online metagame for the past week or so can be summarized by a pie chart(Yay I love charts. And pie. ), and it seems like Jund in all its flavors has taken a big hit, while Unburial Rites still STILL holds the title of Standard Linchpin. Of course, that doesn’t seem to be the case on paper if you judge by the Star City Games Open in Columbus last week. Vigabool breaks down some of the paper-MTGO differences, especially as they relate to Jund versus the rise of Four-Color Reanimator. SCG Philly is going on now, with Standard on Saturday and Legacy on Sunday. GP Bangkok offers players in SEA a Block Sealed weekend, and you cand find text coverage on the Mothership. The main even this weekend is GP Vegas, which boasts the biggest attendance of any Magic tournament ever, with 4,400 of the attendees preregistering. They had to cap attendance for this Modern Masters Grand Prix at 4,500 and reserved the last 100 slots for day-ofs. To give you an idea of what it takes to run a 4,500-player limited event, this is just some of the product on site in the hall. Lastly, StarCityGames hosts GP Miami next weekend. It will be the first huge Standard tournament in over a month. The IDW comic cover was discovered, and it shows Dack Fayden, everyone’s favorite inter-plane thief, riding a ship into Theros. And the caption references mythological beasts, which seems like a strong indicator of Minotaurs. PVDDR takes a break from all the hype to consider what we already know M14 has in store for us and evaluates a few cards he thinks will and won’t be cool in the new meta. Lifted from the coverage of GP Houston, this is a cool conversation about mulligan decisions in Limited. Nate Price spoke with Tom Martell and discussed a few simulated opening hands to get some insight into how pros choose whether to keep or throw it back. So this may be written by fellow EDH-lover and ex-CommanderCast celebrity Imshan, and it may be about Commander, but it’s really just a multiplayer analysis of how to deal with the risk of overextending as an aggro deck. His conclusion, run answers to the answers – a la Rootborn defenses to swing a sweeper in your favor – to protect your swarm of dudes and keep turning cardboard sideways. And a spike in the price of Didgeridoo because people know there should be minotaurs in Theros block this fall. What? A Legacy brew? Florian Koch looks at “splashing” Deathrite Shaman in RUG Delver – making this Glint-Eye Delver? – and offers a pretty exhaustive walk through of the card choices, sideboarding for matchups, and why a 1/2 elf shaman is better than the best Squire in Magic. Check out the developmental history of “mono” red, or “We didn’t start the fire//It was always burning//Since the world’s been turning.” A recurring nightmare indeed. Et viola, you’re finding 100 newly powerful cards that you don’t play as often. Variety being the spice of life, this seems good. Of course, my approach to this issue is build more decks but don’t spend more money. Same result. This is just a little EDH deck list by Sam Black, but it’s awesome because he’s so committed to putting +1 counters on Skullbriar that he runs Hunger of the Howlpack and Ulvenwald Bear, two oh-so incredibly chaffy that this draft chaff shines in EDH. On fighting busted Zur the Enchanter decks with Stranglehold and other tutor killers, Eric of CommanderCast says “I don’t care if killing your fetch lands makes you sad. 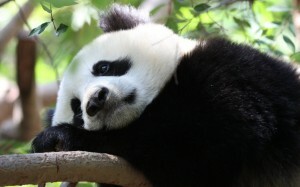 Why don’t you go eat bamboo and not breed some more.” He’s referring to this sad panda, it’s awesome, and I laugh out loud every time I see it. Check out the MTG feel-good story of the season. This kid, whose dad blogs about MTG and nerdy stuff, had a case of the “run-awesomes-and-crush” at GP Houston, building a great sealed deck, playing it well under pressure, and making day two to draft with some pros. Then he went to lacrosse practice. FNM Hero Season Two: Ep 3 – in which our hero goes 3-2 at FNM and learns that Izzet Staticaster is good. Hope you are also gathering so Magicals this weekend1! If you have comments or questions, post below or shoot them to me on my Twitter handle @MdaveCs. GTWM is a work in progress and I’d love ideas of how to evolve it to make it more useful and fun for you. Reblogged this on Generally Magical.